RAW HOLLYWOOD : WATCH: FANTASIA DELIVERS BREATHTAKING PERFORMANCE OF "DR. FEELGOOD"
WATCH: FANTASIA DELIVERS BREATHTAKING PERFORMANCE OF "DR. FEELGOOD"
Whenever Fantasia graces any stage to perform she sets it on fire in the biggest way & that's exactly what she did at the Taking The Stage: African American Music And Stories That Changed America. 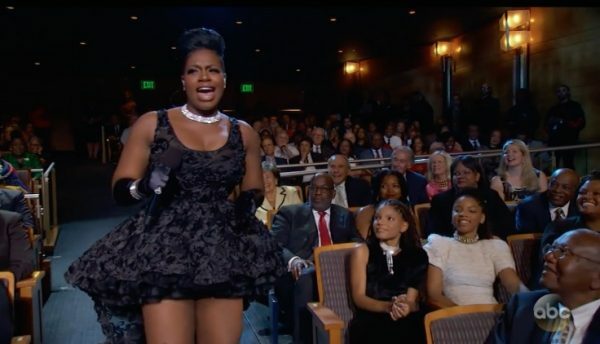 In true Fantasia fashion she performed "Dr. Feelgood" by Aretha Franklin in the audience. The soulful singer turned the Kennedy Center into her very own concert as the likes of Octavia Spencer, Will Smith & Jada Pinkett-Smith watched.